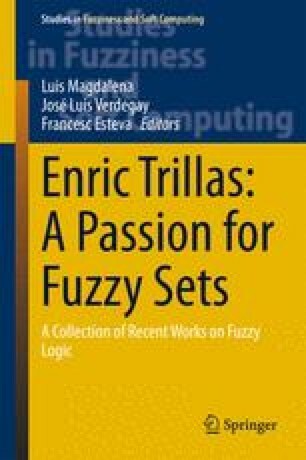 A previous version of this paper appeared in Actas del XVII Congreso Español sobre Tecnologías y Lógica Fuzzy (ESTYLF 2014), F. Bobillo et al. (eds. ), pp. 435–440. This work has been partially supported by the Spanish projects TIN2012-39348-C02-01 (Esteva and Godo) and TIN2011-29827-C02-01 (García-Honrado).